This is an optional Kyosho "Mid Motor" Aluminum Rear Suspension Holder Set, and is intended for use with the Kyosho RB6. This machined aluminum suspension holder allows you to adjust the rear toe and rear track width by simply changing the included bushings. This is used in the mid motor position, on the rear side of the suspension arms. 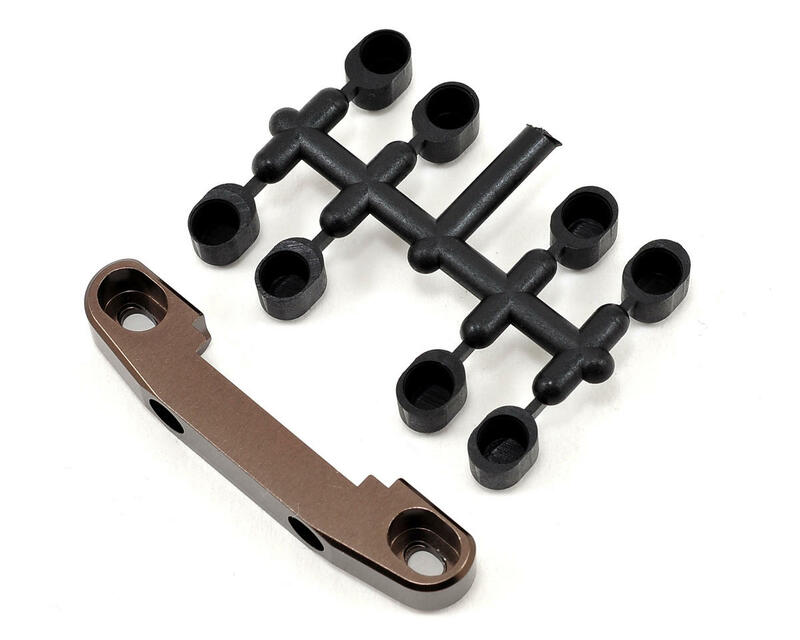 Package includes an aluminum rear suspension holder, two A bushings, two B bushings, two C bushings, and two D bushings. 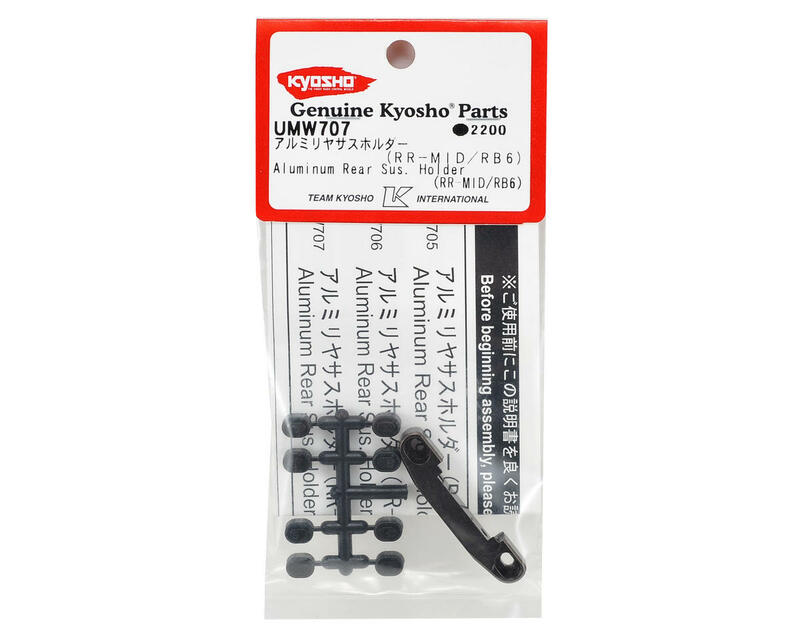 See KYOUMW705-01 for replacement bushings.